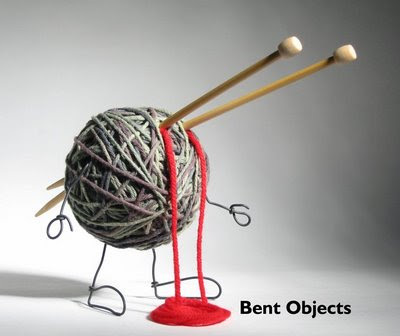 BENT OBJECTS: A Horrific Yarn. My first stab at a knitting needles idea. How many people have been killed with these in horror films over the years? I seem to remember a few (when I was younger and would watch that genre).